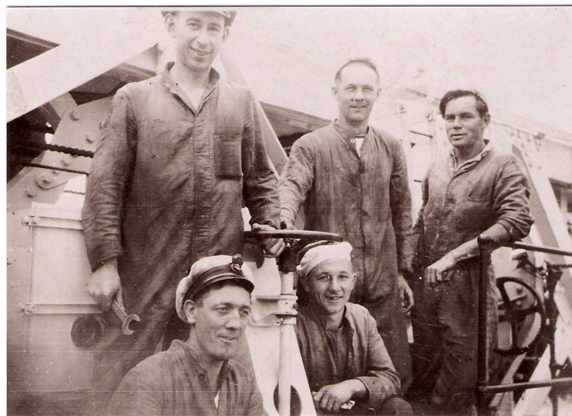 "SHILSTON, EDWARD A.C., PETTY OFFICER STOKER"
Edward Shilston bottom left. Stoker Richard Earp next to him. Top left Shiowright Leslie Woodford. Also Alf Jenkins? casualty. SHILSTON, Petty Officer Stoker, EDWARD ARTHUR CLARENCE, D/K 57754. Son of Charles Henry and Martha Elisabeth Shilston.